Julio Cotto is an adroit artist progressively taking Charleston, SC to the next level. 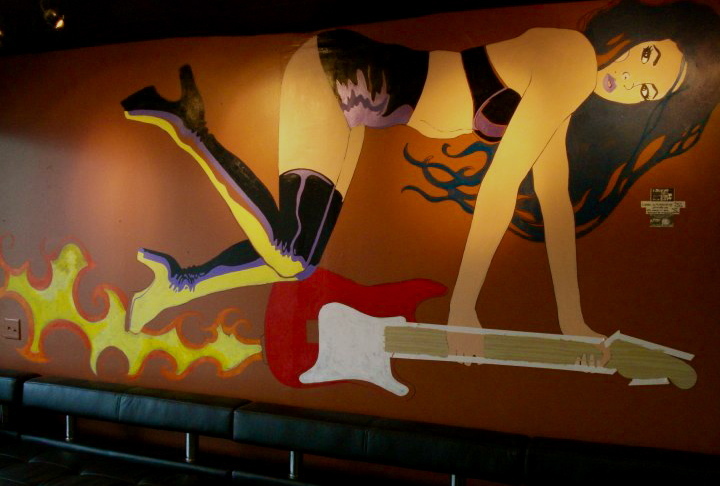 This particular piece can be witnessed at Jimbo’s Rock Lounge. Jimbo’s is a rockin’ spot in West Ashley just off Highway 17 behind DD Peckers- showcasing local musicians and artists alike.